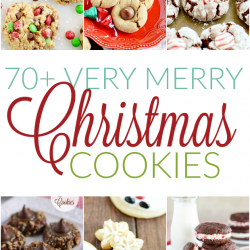 This stuff is one of my very favorite Christmas treats! It’s completely and utterly addicting, which is why it’s earned the nickname Christmas Crack. Have you tried it? 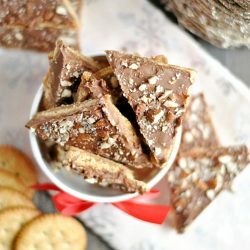 It’s essentially toffee bathed crackers, slathered in chocolate and almonds. 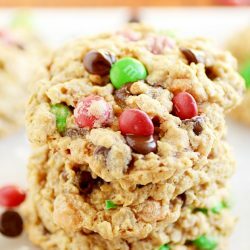 And for those of us who aren’t so great in the candy-making department, it’s an especially great recipes to keep handy, because it’s SO easy! And I think cracker toffee tastes even better than regular toffee. I like the cracker crunch and the extra bit of buttery saltiness. I’ve seen a lot of recipes using saltine crackers and graham crackers. And Dorothy even has a recipe for this toffee that uses store-bought cookies instead of crackers in her cookbook, Dessert Mash-ups! But I’m a Ritz cracker addict, and I wanted to try using those as my cracker base in this recipe. I loved how it turned out, but keep in mind that you can use other crackers if you’d like! The best part of this recipe? No candy thermometer needed! Whew! Candy thermometers make me sweat, and if I can possibly get away without one, that’s what I’ll do. Making the toffee for this candy is as easy as bringing the mixture to a boil and setting a timer. That’s it! Anyone can do it. 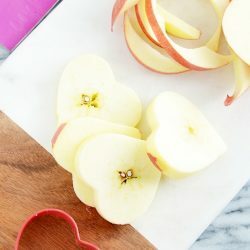 Other awesome perks of this recipe include: relatively easy clean up (if you use parchment paper), hardens up quickly in the refrigerator (which means a shorter bake to eat time), and packages up nicely for gifting! Top it with nuts, M&Ms, sprinkles, candy cane pieces, toffee bits, or even a white chocolate drizzle! This stuff is so versatile and seriously addictive. Preheat oven to 400ºF. Prepare a 10.5 x 15.5 jelly roll pan by lining it with parchment paper. Be sure to crease the edges, so that it's easier to lay the crackers in a single layer. Place the crackers in a flat, single layer on the jelly roll pan. Don't worry about any gaps in between the crackers. Melt the butter in a medium saucepan over medium-high heat. Mix in the brown sugar. Bring to a boil (should be bubbling definitively around the edge-- you shouldn't wonder if it's boiling or not) and set a timer for 3 minutes. Allow to boil without stirring. After 3 minutes, remove from heat immediately. Pour the mixture over the crackers, and use a spatula to gently spread the toffee over the crackers (it's ok if the crackers get displaced a little, but try to keep them as flat as possible). Bake toffee-crackers for 6 minutes. Remove and sprinkle the chocolate chips on top. Return to oven for 1 minute. Spread the melted chocolate chips evenly across the toffee with a spatula. Sprinkle any toppings over top. Let the pan cool at room temperature for a few minutes before placing it in the refrigerator to chill for about 30 minutes, until hardened. Break apart to serve. Store chilled. 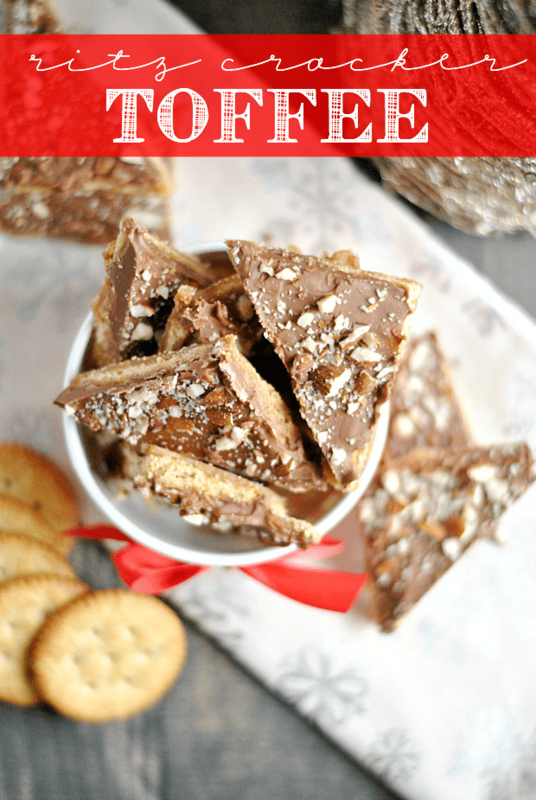 Tip: for easier cutting/breaking, remove toffee from the refrigerator after 10 minutes (it should be partially cooled-- the chocolate should be hardened enough that it won't be disturbed by cutting, and soft enough that it's easy to cut) and cut the toffee into small squares. Return to the refrigerator to finish cooling and harden completely. I make it, I love it, I cannot be trusted around it! :) I always use Saltines though – love the Ritz idea! I looooove it with Ritz Crackers. Amazing. And thanks for the mention!! I love love love toffee!! My grandma makes a similar version but this looks amazing with the ritz!! Oooh I have never had Christmas crack before or anything like it. It looks amazing!!! How am I EVER going to fit into a wedding dress when this exists!!! OMIGOSH IT LOOKS SO YUMMYYYY!